MOSCOW, September 4. /TASS/. Pobeda lowcoster associated with the Aeroflot Group has increased the luggage carriage cost, taking advantage of the warning issued by the Moscow Department of the Federal Antimonopoly Service (FAS), the authority said on Tuesday. 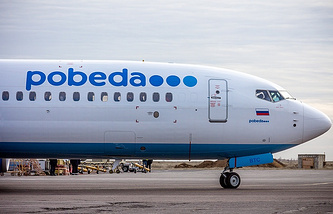 Pobeda airline said earlier that it would increase the luggage carriage cost from 499 rubles ($7.3) to 777 rubles ($11.4) per 10 kg due to the FAS requirement to eliminate the limit of luggage pieces under a promo tariff. "Pobeda’s activities can be interpreted as a desire to increase the luggage carriage costs for citizens, having taken advantage of the FAS Department warning, and boost its revenues at the expense of passengers," the authority said. The Moscow Department of FAS reported at the turn of August that the regulator ascertained signs of pressing disadvantageous conditions of luggage carriage on passengers. According to FAS Department’s data, only one individual can use carriage of 10 kg of luggage at 499 rubles ($7.3), while 20 kg at 1,499 rubles ($22) were only offered for others. This means foisting disadvantageous conditions when providing the service, said Armen Khanyan, head of the Moscow Department of FAS. A warning on the need to stop pressing disadvantageous conditions on consumers was issued to the airline, FAS said. 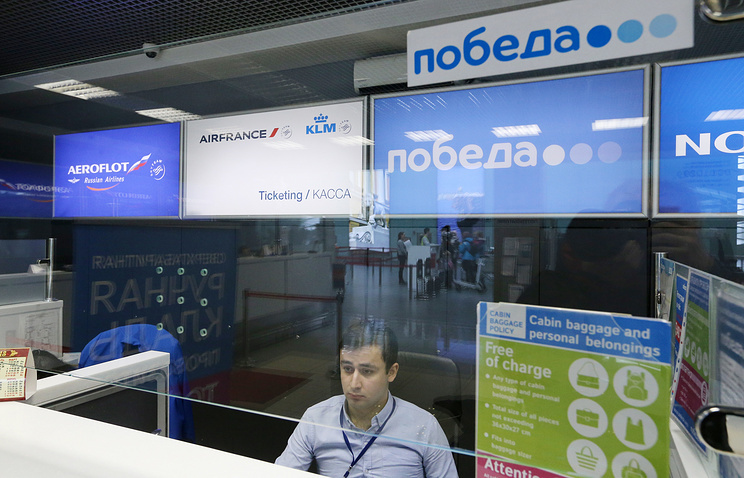 Pobeda replied that 499 rubles ($7.3) are for a promo tariff offered exclusively on the website (the service of carrying 10 kg of luggage is priced at 1,000 rubles ($14.6)) to motivate passengers for paying by services online. The number of luggage items was limited under the promo tariff, the lowcoster said. The department has not yet received a formal answer regarding compliance of the airline with earlier issued warning, the regulator said. The authority will evaluate airline activities in detail after receiving the formal response from Pobeda air carrier within the framework of adherence to the warning in terms of antimonopoly laws, it noted.